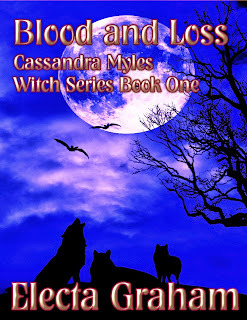 Cassandra Myles loses so much in her life she doesn’t think going on is an option. Then help comes from an unlikely source. A 2000 year old vampire offers her a chance at a new life. Is it too good to be true? He does warn her over and over that a vampire never does anything without something to gain. When he arranges for the young witch to regain her magic it appears that some things are better off staying lost. Betrayal, lies and danger become her daily life and knowing who to trust becomes harder every minute. Cassandra never gives up. She uses her own brand of wit and sarcasm to see her through even the darkest days. "Well I'm not a werewolf so your alpha mojo just pisses me off." "You go any further and you will feel my knee in your junk"
"Do you really think I just threw one to the fae prince when I was out for my walk?"